Update, November 2016. As the American economy continues to return to pre-Great Recession levels, employers across the nation are slowly shifting their focus to retention. 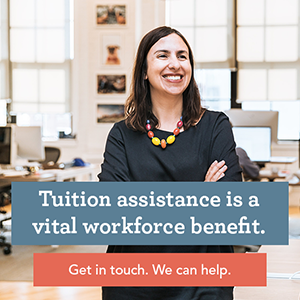 In this post, originally published in late 2015, we looked at how job satisfaction (and employee retention) can be improved by offering education assistance. Here’s what HR and benefits managers need to know. We recently took a look at job satisfaction rates — and how a company’s tuition assistance program can affect them.